Today, stamped concrete is more popular than ever. This decorative technique originated in the 50s but it is still common today. The reasons why people choose stamped concrete are many such s unlimited design options and affordability. It is not easy to distinguish between stamped concrete and costly designs such as brick pavers, natural stones, and slate. Experienced concrete contractors can help you achieve stamped surfaces you have always wanted. Call this number to speak to an expert in concrete stamping - 916-571-0908. 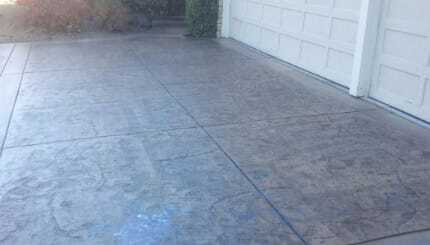 Color hardeners are used on stamped concrete to produce desirable hues. After the concrete is poured, dry color pigments are dusted over the surface before the stamping process. Popular colors include platinum gray, slate gray, dark red, and Venetian pink. Concrete can be stamped into the following patterns. Dry-shake color hardeners and integral coloring mixtures are among the most popular concrete stamping techniques. The two methods are used to infuse fade resistant and durable colors on the poured concrete. They also enhance the hardness of the surface. Earth tones, for instance, are great for outdoor pavements but vivid colors may be applied on the borders. Acrylics and dyes can be used to rev up the designs as they come in vibrant colors such as orange, red, and yellow. Here are some color options that a lot of clients demand. This is one color scheme that provides a distinctive look, especially when applied to a pool deck. It has the coolness aspect that makes it comfortable to walk on even during a hot summer. White concrete can be achieved by mixing regular concrete with titanium dioxide. There are many colors associated with natural stones. This authentic look is achieved by hand-coloring poured concrete to make marbling or variegation. Custom colors are selectively applied to replicate natural stones. It is important to consider how the stamped concrete will blend with the surrounding color scheme. Concrete contractors apply these two methods for making contrasting accents for other architectural elements in the surrounding environment. If you want advice on how to pick the correct concrete stamp and other texturing devices, call us immediately. Different stamping products have different characteristics. The olden stamps, for instance, were made of aluminum and they looked like cookie cutters with long handles attached. These earlier tools were used to imprint stone or brick patterns on freshly poured concrete but their results were impractical as compared to modern designs. Today, stamp mats, which are made of polyurethane and real materials give stunning results and authentic textures. The patterns that stamp mats imprint on concrete vary greatly. They mimic the beautiful characteristics of natural stones, woods, slates, and other high-end construction materials. Common patterns made by stamp mats include cobblestone, fieldstone, bricks, among others. Wood-like patterns, broom finish, rock salt, and fossil designs are made by rubber stamps. Stamped concrete designs are overwhelming and it might be challenging to decide on the perfect one. If that is the situation you are facing right now, just call us and we will give you more inspirations as we discuss how we shall execute your project. Make sure you consult us before purchasing any stamping tool. We are the right company for you because we know what makes some tools superior to others. Our stampers are well versed with all kinds of stamping mats. They know which one yields convincing texture and details and will ensure that your money is spent well. In case you buy some new stamping tools, do not use them immediately if you consider your project important. Call us first so that we can determine their efficacy and how they would transform your surfaces. When using stamping mats, here is a particular level of pressure required to achieve the desired details on a concrete surface. Since we have mastered the stamping techniques, we are always ready to use any stamping tool. This is our all-time service number if you have any questions: 916-571-0908.